Gorgeous plump, deep purple flowers held above fragrant, grey/green foliage with a compact and tidy habit. Flowering from spring through to summer. Evergreen. Hardy. Tolerates frost and dryness. Drought tolerant once established. Low maintenance. 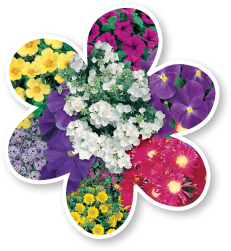 Great for borders, containers, hedges, mass planting, rock gardens and cut flowers. Height to 70cm and width to 60cm. Remove spent flower heads to encourage further flowering. Cut back by 1/3 after flowering.